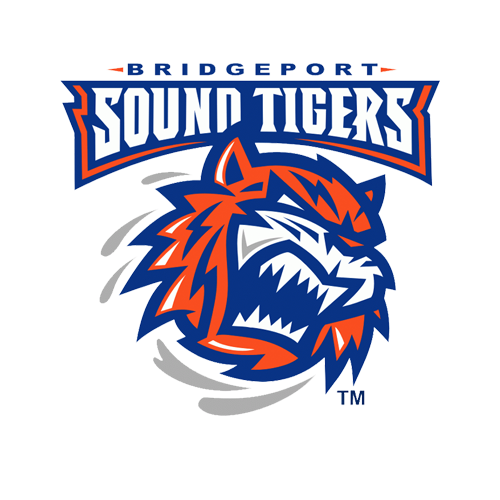 The Bridgeport Sound Tigers (42-23-6-3), proud AHL affiliate of the New York Islanders, secured a berth in the 2019 Calder Cup Playoffs last weekend and need just one point to guarantee home ice in the first round of the postseason. Ryan Bourque, Travis St. Denis and Josh Ho-Sang each recorded four points in the last three games to pave the way for Bridgeport’s offense. View the updated AHL standings. Despite back-to-back home wins for the Sound Tigers this past week, the club suffered an 8-6 loss to the Providence Bruins in their final trip to Dunkin’ Donuts Center on Friday. Otto Koivula struck twice and four other Sound Tigers had a multi-point game, while Grant Hutton and Robert “Bobo” Carpenter both scored their first professional goals -- Carpenter’s coming in his pro debut. St. Denis added a career-high three assists. It was the first time Bridgeport allowed eight goals in a game this season. Twenty-four hours later, the Sound Tigers bounced back in a big way, clinching their first postseason berth in three years with a 4-3 win against Providence at Webster Bank Arena on Saturday. The victory ensured Bridgeport’s first playoff appearance since 2016 and its ninth overall in team history. It was also the first time the Sound Tigers solidified a playoff spot at home since 2012. Bourque scored twice on Saturday and St. Denis notched his fifth game-winning goal of the season, while Paul Carey had two first-period tallies for the P-Bruins. Oliver Wahlstrom also scored his first professional goal in just his second game - one day after Carpenter and Hutton netted their “firsts.” Between the pipes, Christopher Gibson (21-11-5) made 27 saves en route to his 20th win of the year. On Wednesday, the Sound Tigers capped the home portion of their 2018-19 regular season by muscling out a 2-1 win against the Laval Rocket at Webster Bank Arena. Gibson, who grew up in Quebec, made 31 saves against the team from his home province, while Kieffer Bellows and Stephen Gionta each found the back of the net. It was Bellows’ 12th goal of the season and his first since Jan. 26, while Gionta collected his first game-winner since 2011. With the victory, Bridgeport ensured that it can’t finish worse than third in the Atlantic Division. The Sound Tigers cross the finish line on their 2018-19 regular season this weekend with a pair of road games against the Springfield Thunderbirds (31-28-9-5) and Wilkes-Barre/Scranton Penguins (35-28-7-3). Bridgeport travels to the MassMutual Center in Springfield, Mass. 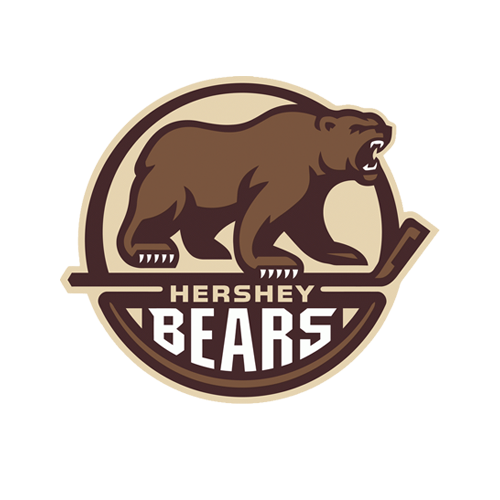 On Friday night (7:05 p.m.) before polishing off the campaign at 7:05 p.m. this Saturday at Mohegan Sun Arena at Casey Plaza in Wilkes-Barre, Penn. Fans can follow all of the action online via the Sound Tigers Radio Network and AHLTV, beginning with the pre-game show 15 minutes before each listed start time. Friday, Apr. 12 at Springfield Thunderbirds (7:05 p.m.): The Sound Tigers face Springfield for the 10th and final time this season, and their fifth of five matchups in Massachusetts. It’s Bridgeport's first trip to MassMutual Center since Dec. 28 -- nearly a month before the 2019 AHL All-Star Classic, which was held in Springfield on Jan. 27-28. The Sound Tigers lead the series 7-2-0-0 and have won five straight meetings, including a 4-0 shutout victory in their last head-to-head tilt on Mar. 17. The seventh-place Thunderbirds are nine points outside of a playoff spot with three games left and will not qualify for the postseason. Saturday, Apr. 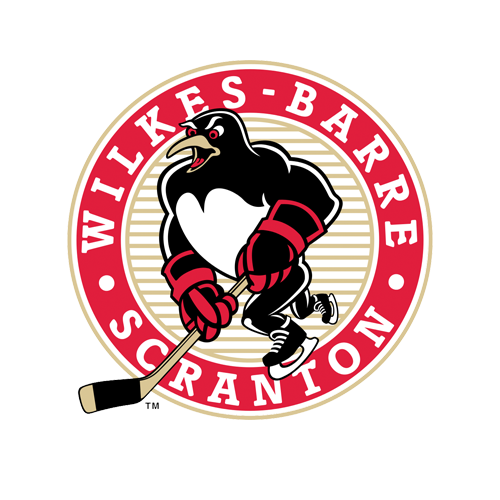 13 vs. Wilkes-Barre/Scranton Penguins (7:05 p.m.): The Sound Tigers and Penguins clash for the eighth and final time this season, and their fourth of four meetings in Pennsylvania. Bridgeport is 3-3-1-0 against Wilkes-Barre/Scranton so far and 1-1-1-0 in those games at Mohegan Sun Arena at Casey Plaza. The sixth-place Penguins are five points outside of a playoff spot with three games remaining, as their postseason hopes begin to look slim. Playoff Ticket Packages On Sale Now: Bridgeport’s first-round opponent and schedule have yet to be determined, but specially-priced packages are available now - all of which include great seats for the playoffs at Webster Bank Arena. CLICK HERE for information of packages that include “Sound Up for the Cup” t-shirts, mason jars, food vouchers and more. Individual tickets to the Sound Tigers’ first-round playoff games are $15 at the Webster Bank Arena Click It or Ticket Box Office. Group tickets are $12 each. Sound Tigers plan holders should contact his/her Account Representative at 203-345-4813 for exclusive ticket discounts. Building Character: Nothing builds team character like consistently having to grind out wins in close games, which the Sound Tigers have had a lot of experience in this season. Bridgeport is tied for the league lead with 42 one-goal outcomes (28-5-6-3), including two straight, and has gone to overtime 24 times -- tied for fourth-most in the AHL. The Sound Tigers are hoping that experience helps prepare them for the 2019 Calder Cup Playoffs. Wahlstrom Becomes Youngest Goal Scorer: Highly-touted prospect Oliver Wahlstrom scored his first professional goal in Saturday's win and in doing so, became the youngest Sound Tiger to ever find the back of the net (18 years, nine months, 23 days). The Islanders’ 11th-overall pick in June made his pro debut on Tuesday, Apr. 2 following one season at Boston College, where he had 19 points (eight goals, 11 assists) in 36 games earlier this year. Wahlstrom also notched four points (two goals, two assists) in seven games during the 2018 World Junior Championships (Team USA). He signed a three-year, entry-level deal with the Islanders (begins next season) on Mar. 28 and agreed to terms on an amateur tryout agreement with the Sound Tigers on Mar. 29. Road Trippin’: The Sound Tigers will end their 2018-19 regular season with a pair of road games this weekend, including their season finale tomorrow night in Wilkes-Barre, Penn. Despite Bridgeport's home success this season (26-7-3-2), the club is only .500 on the road (16-16-3-1) and has been outscored 118-98. The Sound Tigers have the fifth-best road record in the Atlantic Division and have dropped two straight games away from Webster Bank Arena. Quick Hits: Steve Bernier is third in the AHL in shooting percentage (23.2%)... Otto Koivula is fourth among AHL rookies with 20 goals and tied for seventh in scoring (45 points)… Sebastian Aho is tied for 13th among league defensemen with 42 points (8g, 34a)… Ben Holmstrom was named Bridgeport’s 2018-19 IOA/ American Specialty AHL Man of the Year… It’s the first time he’s won the prestigious honor… Ryan Bourque is on a team-best three-game point streak (2g, 2a)... Grant Hutton has four points (two goals, two assists) in his last four games... John Stevens' next game will be his 100th pro appearance... Chris Casto's next game will be his 350th AHL contest. The New York Islanders made the playoffs for the first time since 2016 and began their quest for the 2019 Stanley Cup with an electrifying overtime win against the Pittsburgh Penguins in Game 1 at NYCB Live on Wednesday. Former Sound Tiger Josh Bailey capped the 4-3 victory at 4:39 of the extra frame, while Brock Nelson, Nick Leddy and Jordan Eberle each ignited the home crowd with a goal in regulation. Former Sound Tigers Anders Lee, Adam Pelech and Devon Toews also chipped in assists. The Islanders host Game 2 on Friday at 7:30 p.m., hoping to take a 2-0 series lead. The ECHL’s Worcester Railers H.C. (32-29-7-4) did not qualify for the 2019 Kelly Cup Playoffs, but finished the season with a thrilling, 5-4 overtime win against the Adirondack Thunder on Sunday. Former Sound Tiger Matt Gaudreau scored the game-winning goal at 2:02 of overtime, while Ryan Hitchcock also had one of the five Worcester goals. In net, Mitch Gillam made 32 saves on 36 shots for his 21st and final win. Hitchcock led the Railers in assists (32) and ranked third in points (49) this season, despite playing just 46 ECHL games. He was called up to the AHL and joined the Sound Tigers on Wednesday along with Gillam, forward Yanick Turcotte and defensemen David Quenneville and Mike Cornell.